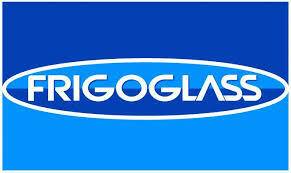 Frigoglass Nigeria Limited Recruitment 2019-2020 and How to Apply for Graduate Vacancies. Frigoglass Nigeria Limited Recruitment 2019-2020 – In this article you will surely get latest updates on Frigoglass Nigeria Limited 2018 recruitment requirements, qualifications, guidelines and other important updates for free. Frigoglass is the global leader in the Ice Cold Merchandisers (ICM) market and the principal supplier of glass packaging in the high growth markets of over 19 countries across five continents of the world. The Nigeria Operations has its head office in Lagos, and factories in Delta, Ogun and Oyo States of Nigeria and a staff capacity of over one thousand people with diverse abilities and backgrounds. Establishes Beta Glass Plc (Guinea Plant) Production/Product Performance and Quality Standards. Daily/weekly arrange for meeting with supply chain and commercial team to ensure massive delivery during peak sales period. Sc./HND in Mechanical Engineering, City & Guilds, Trade Test. Minimum of 2 years in a bottle manufacturing Plant. We are hereby offering a unique opportunity for young Nigerian graduates to kick start their careers by enrolling in our Technical Trainee Programme. Frigoglass Technical Trainee Programme is an intensive 12-month Technical Training in Glass production aimed at developing and mentoring new glass experts. Note: Applicants can only apply for one position, multiple entries will be disqualified. Only shortlisted candidates will be contacted. We cherish your opinion and we look forward to it. Hence, if you need us to feed you with more updated information at the right time about Frigoglass Nigeria Limited Recruitment 2019, kindly provide us your phone number and email Address in the comment box below.